* Paper Playtime - "Polka Dots & A Sentiment"
* Tuesday Morning Sketches - "Sketch #160"
Well, I guess that's about it for me right now. Thanks for sharing my little bit of "fall". I hope the real thing comes around soon! Take care and I'll be seeing you soon. What a gorgeous card!! Love the pattern paper and great card LO!! 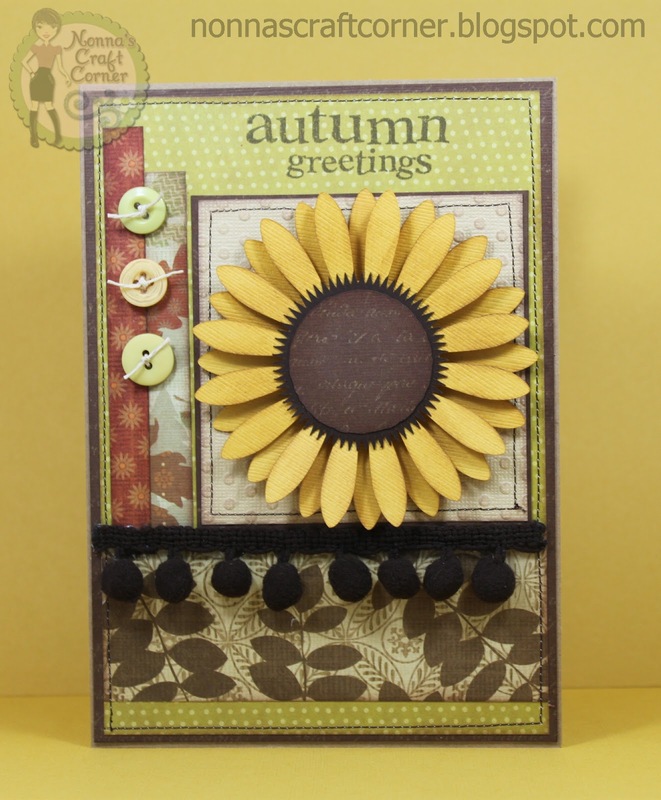 Tanya, This is so pretty, beautiful colors and I really LOVE the sunflower!! I LOVE fall too, and I also can't wait for it to arrive. Don't get me wrong - I LOVE summer but this heat/humidity is not fun! Hope you have a SUPER day tomorrow! Wow Tanya! This is amazing! I love the sunflower and all of the colors are incredible! Love it! Stunning. I love the huge flower and the little fringe. So pretty. Love the sunflower. Makes me wish for fall. Beautiful card!!! I love the fall colors and that huge flower!! Wow, that sunflower is gorgeous!! What a beautiful card, Tanya!! The design is fabulous!! I too, love Fall, but I love Summer too and don't want it to be over :) Have a great weekend!! I LOVE the sunflower!!! What a statement-the design of your fall card is gorgeous Tanya! The pom pom trim and the cute buttons are adorable!! Fabulous card my friend!! 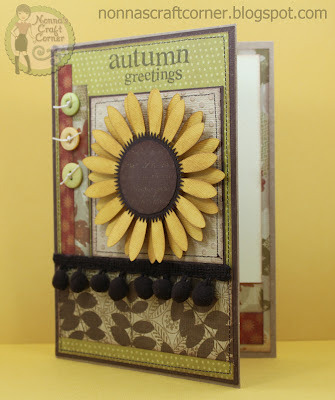 What a fun fall card! I love the pompom trim and that flower is awesome. Thanks for joining us this week at Tuesday Morning Sketches! Tanya, what a perfect card..i love the flower and the details! This is just a quick note to let you know that a new challenge starts tomorrow at Tuesday Morning Sketches..Hope to see you there!